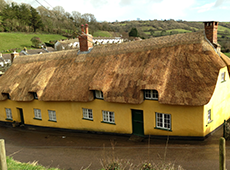 Thatching is one of the oldest building crafts and little has changed since the Middle Ages and there is evidence to suggest that the use of thatch as a roofing material goes back as far as the Bronze Age Britain. 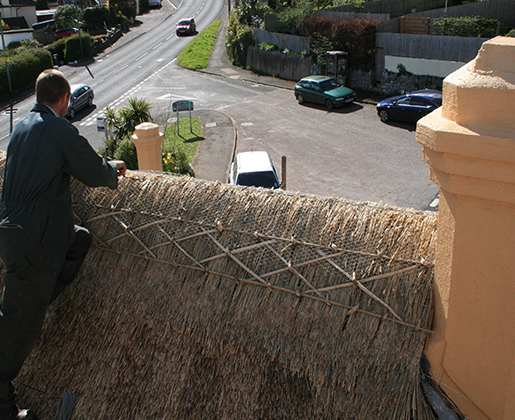 Typical life span of a well thatched roof can be as much as 30 years. 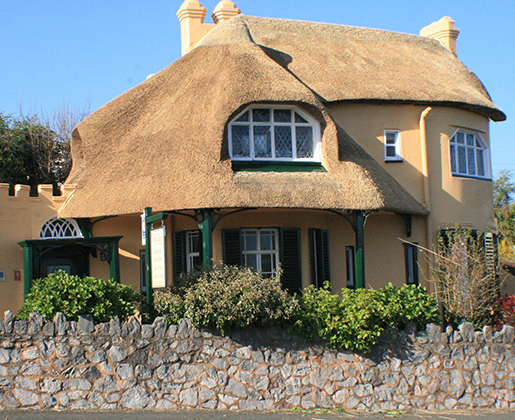 The advantages of using thatch as a roofing type is that thatch is highly energy efficient providing excellent insulation and keeping house is warm in the winter and call in the summer. 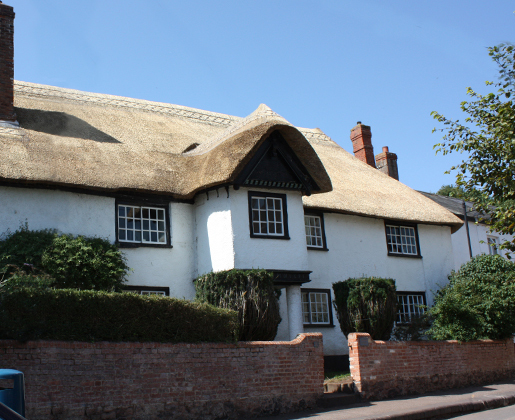 Damp does not penetrate far into the top liar of a thatched roof in good condition, the deep projecting eaves remove the need for a guttering. 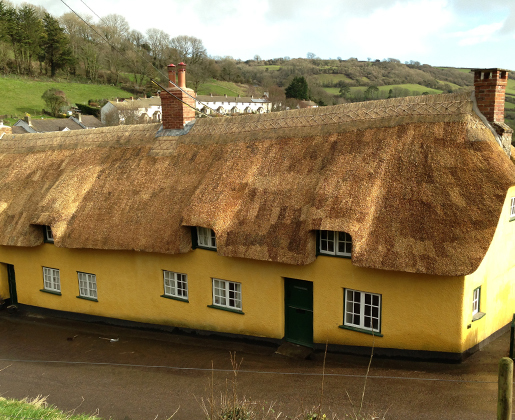 Thatch is a natural reed and grass which, when properly cut dried and installed, forms a waterproof roof. 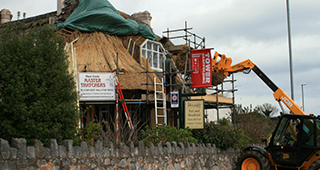 Traditionally thatcher’s used local materials available to them. 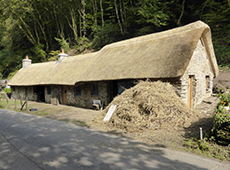 Local farmers were growing wheat reed or barley straw, oats straw and even heathers were used. 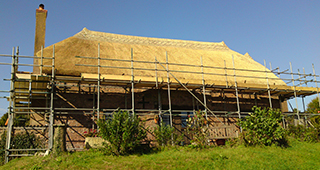 Wet lowlands sedge, has been traditionally used as a ridging material for thatch roofs. 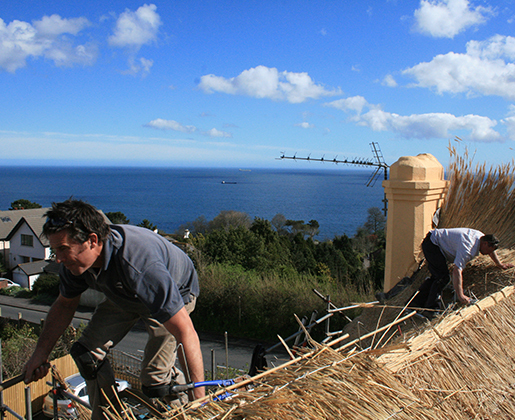 The most durable thatching material is water reed (Phragmites Australis) which can last up to 30 years. 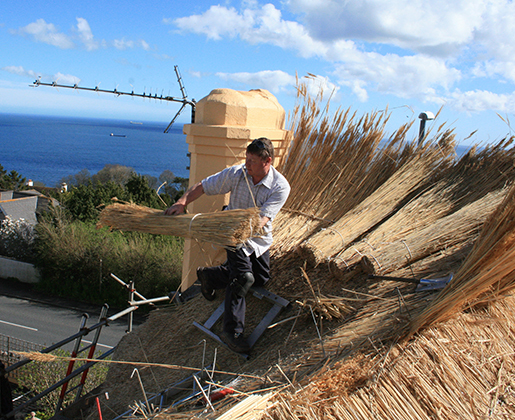 Reed is naturally waterproof. 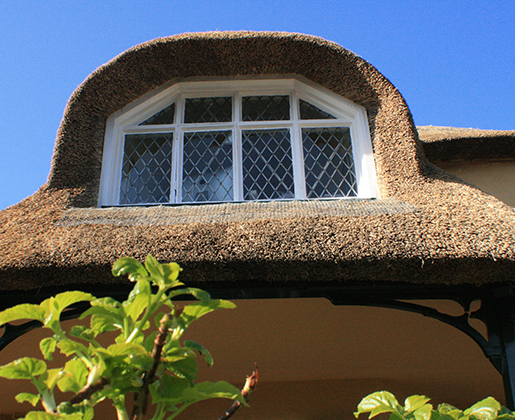 This is no waterlogged plant, soggy and bloated with water. 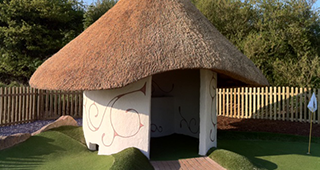 In fact, the inside of a natural water reed is hollow. 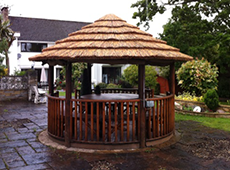 Water is kept out by the tight overlapping of cells of the plants. If you bundle enough of these watershed implants together, water simply cannot penetrate. 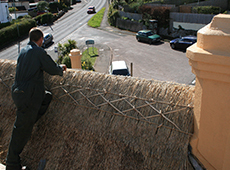 Moisture typically does not absorb into the thatch bundles more than one to 2 inches.